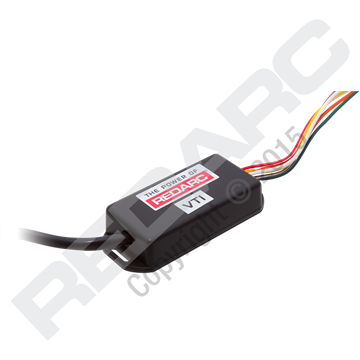 REDARC Trailer Lighting Voltage Reducers provide 12-volt circuits for the lighting of brake, tail and indicators on a 12-volt trailer being towed by a 24-volt vehicle. REDARC Trailer Lighting Voltage Boosters provide 24-volt circuits for the lighting of brake, tail, indicators and reverse lights fitted to a 24-volt trailer being towed by a 12-volt vehicle. The REDARC VRB5C Trailer Lighting Reducer is a multi-circuit trailer lighting reducer designed to power incandescent and led trailer lamps. The REDARC LED Trailer Interface allows a vehicle to detect a trailer with LED lamps and incorporates intelligent filtering of trailer detection in order to prevent LED lamps from flickering or pulsing. The REDARC Advanced Trailer Lighting Interface module is designed to allow late model vehicles to tow a trailer with either LED lamps or incandescent globes. 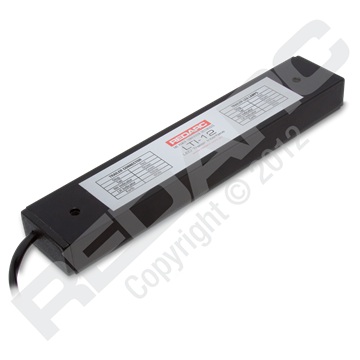 The REDARC Trailer Lighting Interface module permits late model vehicles to tow a trailer with LED lamps or incandescent globes.